Happy New year's all ! I thought of starting my 2011 recipe box on a sweet sweet note. Gajjar ka halwa , considered the dessert of desserts , is frequently prepared in the winter season in northern India. A favorite among people of all ages, this recipe will certainly quench and satisfy your sweet tooth if you have any! 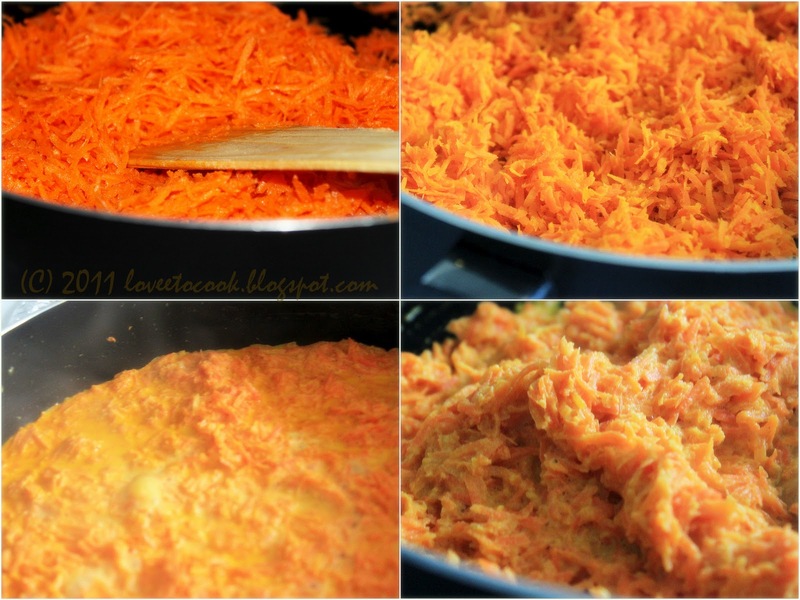 Heat a pan on medium high and add butter, once melted add the shredded carrot and saute till the carrot changes in color. 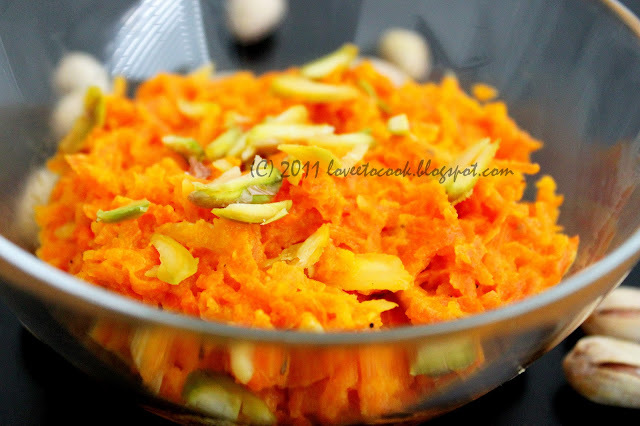 Now add warm milk and saffron.Bring the carrot milk mixture to a boil , slowing allowing the milk to get fully absorbed. Now add the sugar, stir well. As the sugar is heated , it will leave some moisture . Keep stirring on low heat till all the liquid is absorbed. Add cardamom powder, almonds and stir. Remove from heat. Serve hot with a garnish of pistachios. Divine! 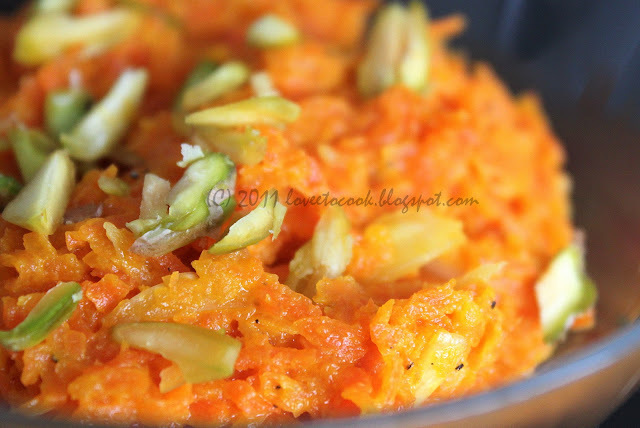 Wow the halwa is really tempting..I m feeling like licking the screen lol..
ooh yum... we have been having some for a while now.. should post some soon... great pics as always!